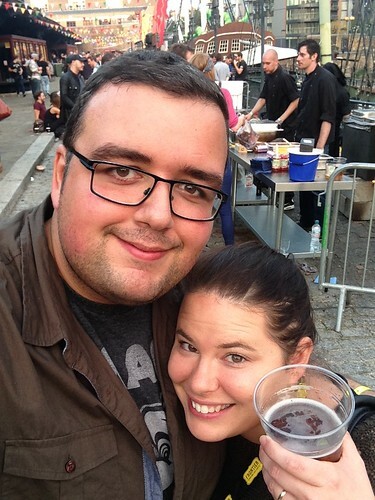 Steph (and N) go to… Meatopia!!!! Oh, oh friends. N and I have been waiting for this day for months… me even longer than that as I bought the tickets as a surprise for N eons ago. 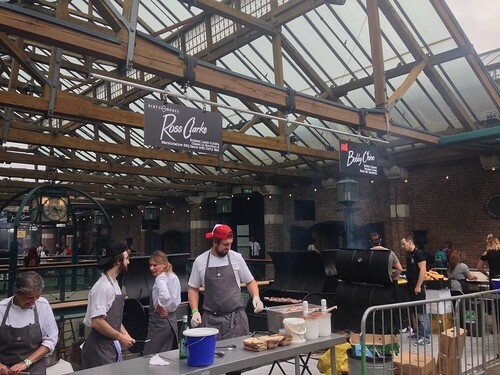 Meatopia is a festival of meat, drink, fire and music invented 9 years ago in the USA by acclaimed food writer and journalist Josh Ozersky. 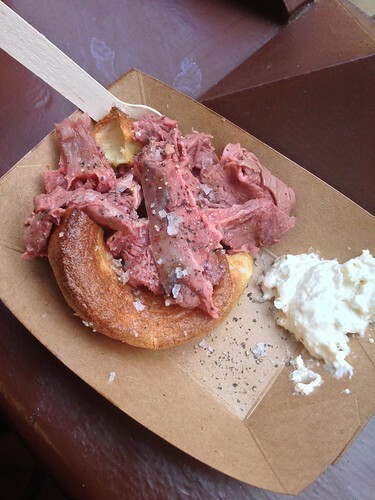 The concept is a simple one; amazing and original meat-based dishes using high quality sustainably farmed meat, cooked over wood or charcoal by top chefs and served in taster portions to allow you to try as many as possible. 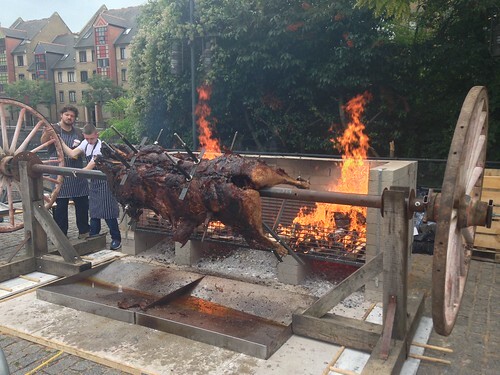 This year we have 31 of the world’s best chefs from all over the globe cooking 42 unique dishes in a smoke-filled weekend extravaganza. 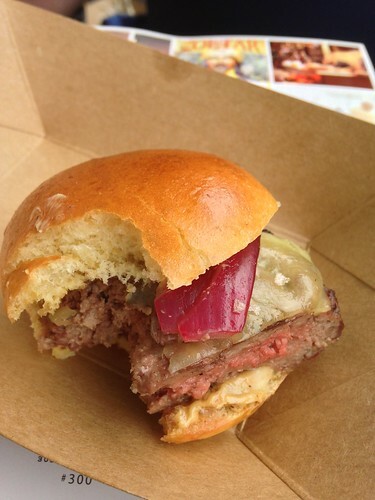 Meatopia UK was brought to London in 2013 by chef Richard Turner and was an immediate sell-out success. 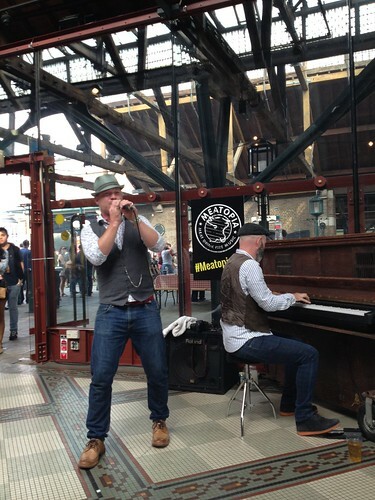 The event was staged at the magnificent Tobacco Dock in East London and featured 20 chefs from all over the world alongside butchers, farmers, meat aficionados, wine makers and brewers – soundscaped by an eclectic line up of live music, cabaret and street theatre. Oh. Yes. And as if that doesn’t sound awesome enough… we had VIP tickets. Yeah, baby! 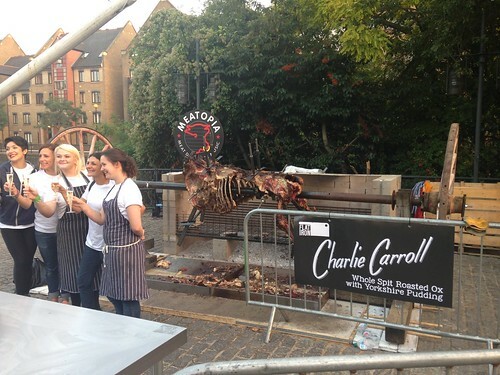 Why yes… that is a whole ox on that spit… 220 kilos of meat cooking for over 24 hours. 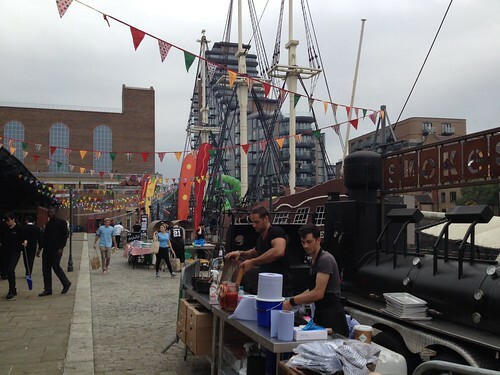 Smoking next to a pirate ship… only way to do it. 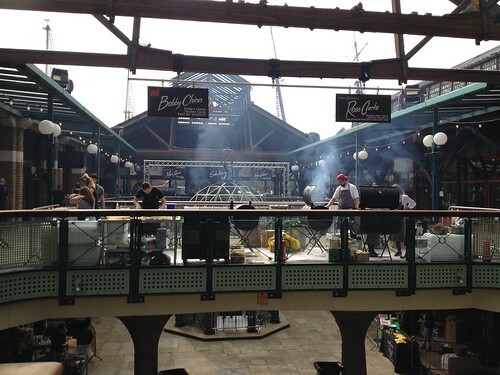 You probably get the idea, but I can’t tell you how fantastic the whole setup at Tobacco Dock was. Blogs should really have smell-o-vision because the smell of the smoke, meat, wood, charcoal and sauces was beyond your wildest BBQ dreams. 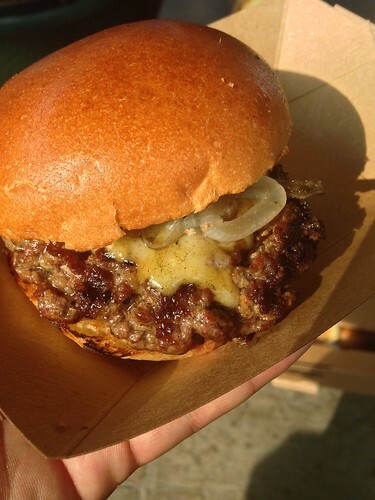 We started off with the Californication Burger from Almost Famous. 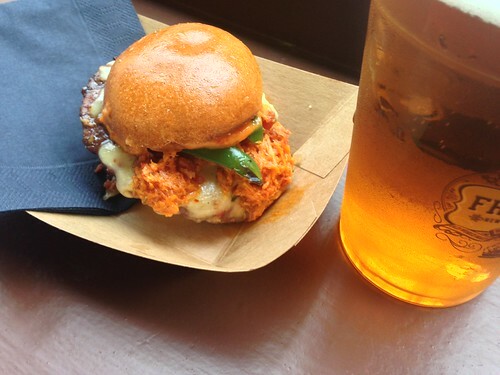 The epic Californication burger… there was a line for it even before they were finished with the first batch. 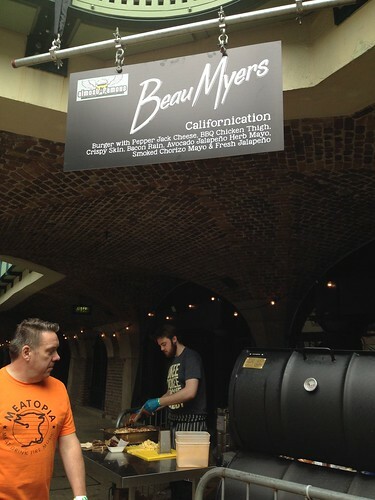 The Californication Burger being assembled…. Know what ‘que butter is? 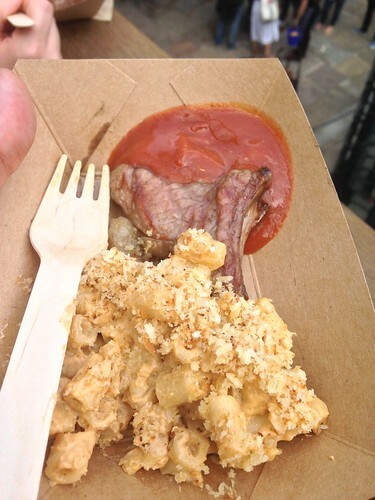 It’s butter made from the fat drippings from the smoked brisket. It’s heavenly and artery clogging. After this, we started sharing. 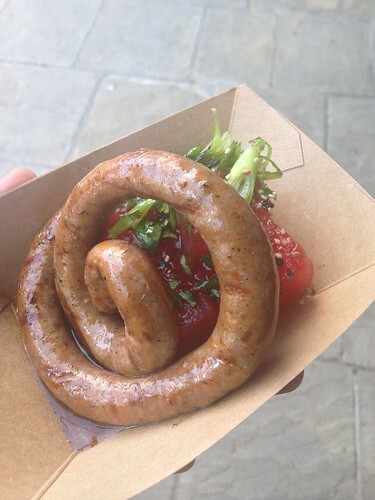 Bread Street Kitchen‘s ‘Hand-made Ras el Hanout spiced Lamb Sausage on compressed gin-infused watermelon topped with coriander’ was more of N’s kind of dish as I’m not a fan of watermelon (or gin, oddly enough) but the sausage was lovely! 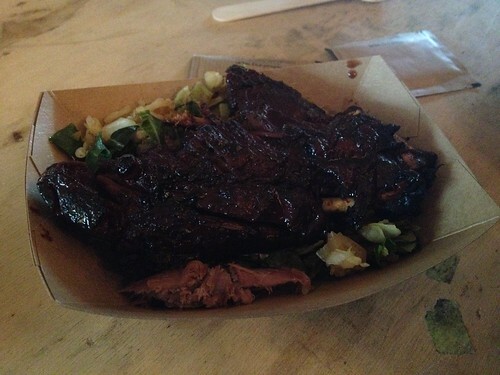 The Jugged Hare served up an amazing slow cooked Yorkshire hare leg with collard greens and BBQ sauce. I’ve only had hare one other time but if this is the kind of quality at The Jugged Hare’s restaurant, I dare say it won’t be the last time I have it! 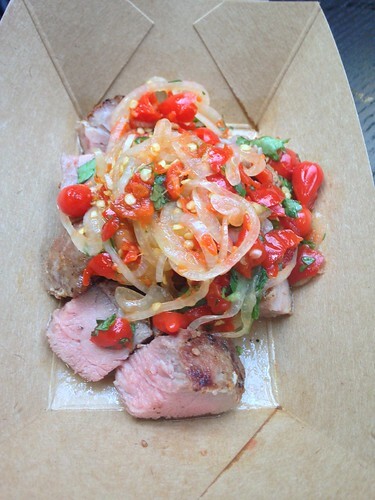 The guys at Foxlow upped the game with their dish of grilled Tamworth Rib Eye with Roquito Pepper Salsa. 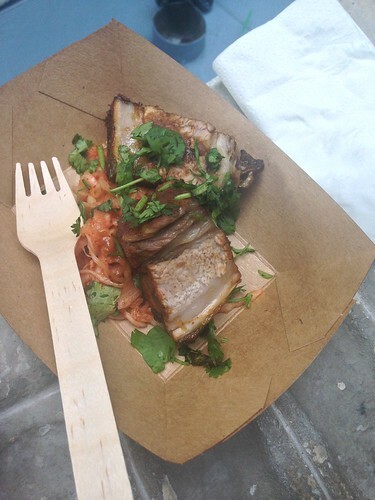 It was simple but so damn flavourful. We loved the salsa so much that we’re actually trying our hand at making a batch today. Watch this space! 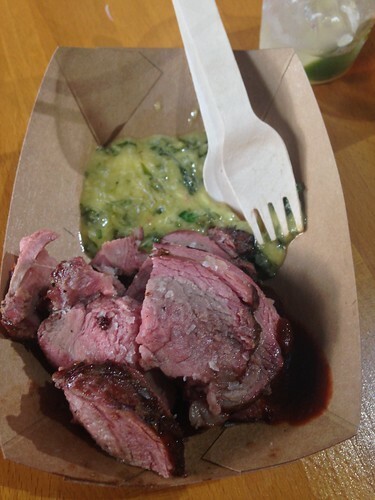 Next to last was a fabulous dish from Andre de Luca and BOS BBQ… Slow Smoked Leg of Lamb, marinated in dijon, roasted garlic & fresh rosemary then grilled and served with a sauce of fresh mint, olive oil, lemon zest and chopped chilli. To. Die. For. 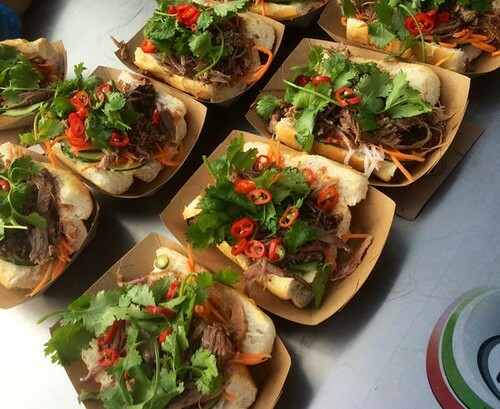 Our last dish came from London’s own House of Ho — their Smoked Goose Leg Banh Mi Sandwich. Amazing stuff… so amazing that we actually forgot to take a photo and grabbed this one from House of Ho’s twitter account. Click the photo to head over there and see what they’re up to! 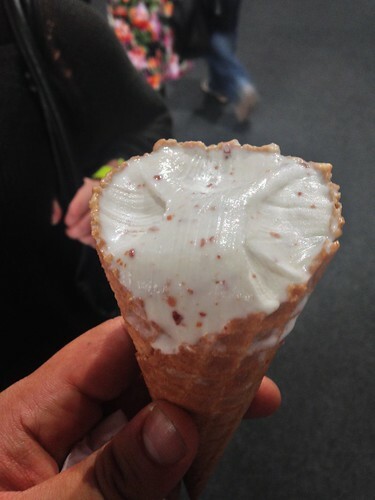 N had Black Vanilla Gelato‘s signature dish–Bacon and Maple Syrup Gelato. It was like having breakfast, only cold and in a cone. I obviously helped him finish it. 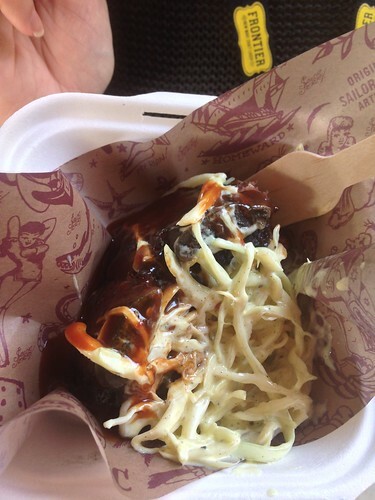 The Crispy Club (love the name) offered up a rice crispy called The Dead Elvis. 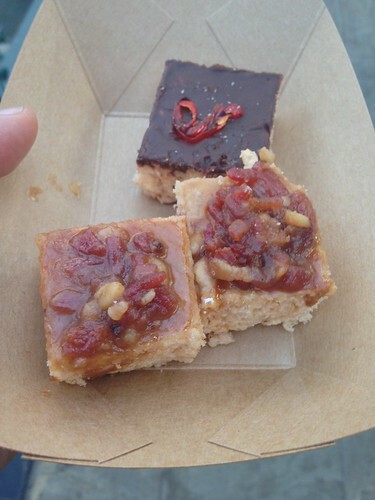 Rocking banana jam, peanut butter and candied bacon (yes, yes, YES! ), it made me re-evaluate dessert. Meatopia also had some fine entertainment on offer. Highlights for us were The Gents (we saw them twice!) and the Brass Funkeys. 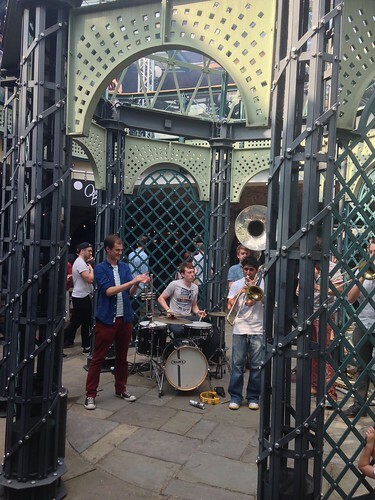 We’ll definitely be keeping our eyes out for any London gigs! 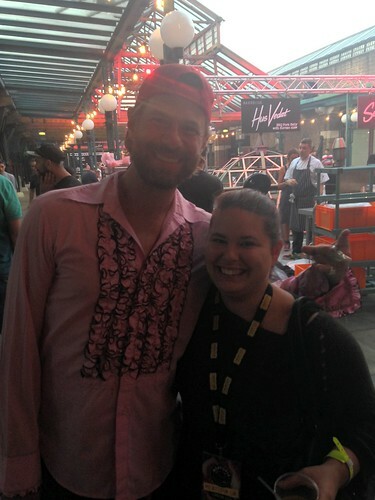 A day later and N and I have had a debrief… If we had to choose (y’know, if someone was holding a gun to our heads), our favourite dishes would be Foxlow’s steak and roquito pepper salsa (mine) and the Californication Burger (N’s). 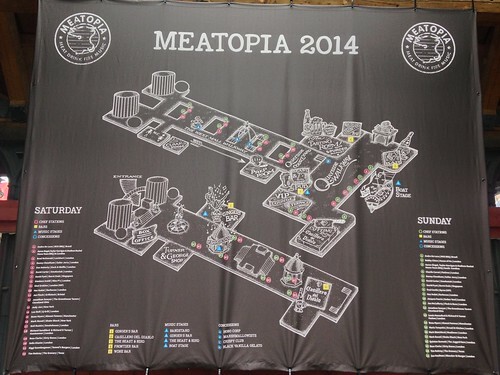 We’ve already decided that as soon as tickets for Meatopia 2015 come up (and there’d better be one), we’ll be snapping up VIP tickets again. Amazing experience and already looking forward to the next one! 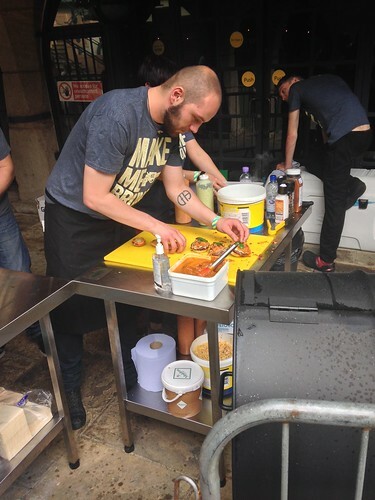 There are loads more photos of different chefs, dishes and so on… too many to post here. If you want to see them, head over to my flickr and check them out! Next ›Steph (and N) travel to… Seville! I cannot believe that a) this is a thing and b) that I missed it!!! It was so amazing! Keep an eye out for 2015… We’ll definitely be there!! !